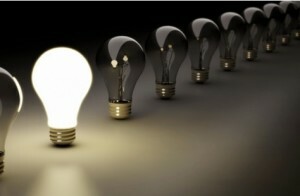 No matter what you want to do in business you must have an idea that will be cultivated into a full fledged business. It is funny that when you had no capital or had not thought seriously about becoming a business owner you had a million ideas that could fill a large room. Now that you have made up your mind, you will see most of these ideas as high risk operations and your mind will be blank most of the time. A good business idea is in something you understand and know how to work your way through. On the other hand, you can learn a lot from what is around you. Simply look at different markets and see what is lacking. Researching to find out which market will be best for your business is a crucial part of the startup process. You have the idea but will it work in the real world? Remember that without research, your idea is worth a billion dollars and at the same time it is worth nothing. You should get practical and find out how your business will operate and if it will have the ability to run itself and give you income. Now you have managed to pinpoint a business you would love to be part of. The next important step is to write a business plan. A business plan is basically the map you will need to navigate through all the stages in starting a business. Most people, after coming up with the business idea, start arranging the startup before writing a plan. This can be likened to building a complex building without the blueprint. It does not have to be a long plan; you only need to highlight the major processes that will guide you towards achieving your goals. Since not everyone has the capital to start a business, it is important to know the different ways you can use to get the startup capital. If you have been saving and your account has been fattened by money, you only need to withdraw your savings. If you have no money, you can get a loan from the different financial institutions offering this service. You can also present your business plan for a grant or funding from the government and other involved organizations. Whichever method you use, you will need to have a business plan that will be used to calculate the amount of money you need. This should be followed by registrations and all matter of licenses required. After getting the funding, you will be required to make all necessary purchases or hires that will enable the actual start of the business. You need to refer to your business plan to ensure that you do not miss any important item. List all the tools, equipment and materials that you need for the start and purchase them. Being well prepared is the first step towards a successful business. This will be followed by the actual start and the opening of the doors to the general public and after this, there sill be no looking back.